Kenyan teams have to fight hard to come out of their tough pools in the Federation of East Africa Secondary Schools games set to kick off on August 25 to September 3. Barding from Kisumu will face Kilubi of Uganda, Makongo from Tanzania, Hanika of Rwanda and Charawe from Zanzibar in Pool A.
Kenyan teams have never reclaimed the title which was won by St Anthony of Kitale in 2005 in the games hosted in the country. 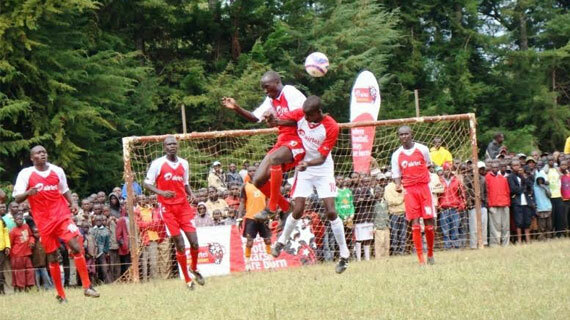 However the team will not feature in the East Africa bonanza after Bukembe defeated them in their regional games. Kenya’s St Johns Kaloleni and Nyakach will be squaring it in the girls Pool B with Remera from Rwanda, Kawempe from Uganda, Alliance from Tanzania and Masaka from Uganda. In Pool A, Wiyeta and Ngida from Kenya are seeking honours against Nyakabinga from Burundi, Mutunda from Rwanda, Mukono from Uganda and Kabasila from Tanzania. Kenya’s St Anthony’s Kitale are the defending champions in hockey and it will face Friends Kamusinga, Upper Hill from Kenya together with St Charles Kasasa from Uganda, Juhudi from Tanzania, Kakungulu and Ntare from Uganda. Defending champions hockey girls Sinyolo will be putting their act together with Tigoi and Kerugoya Girls from Kenya, Kakungulu, Namagunga, and Old Kampala from Uganda.